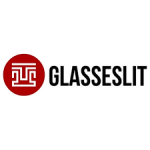 Glasseslit is an online brand of sunglasses, eyeglasses and prescription lenses. The store offers 100% satisfaction guarantee and a warranty for thirty days. The products start from only $9.90 and there are free prescription glasses for most customers. The store sells fashionable glasses for women and men. Most such products have markdowns. You can look for the weekly or monthly promotions at the time of your purchase to save in addition to the prevailing discounts or already reduced prices. The store also features some designers so you can find the trendiest of eyewear. Subscribe to the newsletter and get 20% discount on the subsequent order.